What are the best energy plans for renters? Just because you rent your home, doesn’t mean you are stuck with a bad energy deal. If you’re preparing to rent a home for the first time, or considering switching energy providers, this article is for you, because Canstar Blue offers a guide to energy plans for renters and what extra charges you might need to watch out for. Can I choose my energy provider if I’m renting? It is a common misconception that renters cannot change their electricity retailer, however this couldn’t be further from the truth. Renters in most areas can compare and switch energy retailers the same as anyone else. However, be sure to ask yourself some of the following questions. Who is responsible for paying the energy bills at your property? If energy bills are included in the rent or paid by the owner, you will likely not be able to pick or switch energy providers. If you live in an area with energy retail competition. Most states now have deregulated energy markets, meaning that households are able to pick from a growing number of different electricity and gas retailers, offering a range of different plans and incentives to sign up. However, in some areas – particularly in Tas, WA and NT – some energy customers are not able to pick their provider. Whether or not your home is part of an embedded electricity network. Embedded networks are becoming increasingly common in residential apartment blocks where the building owners have an agreement with an energy provider to supply electricity to all properties in the complex and individual residents are not able to switch. Before signing a tenancy agreement, it’s important to ask about the property’s power supply and who is responsible for paying bills. Some landlords prefer to retain control over energy bills in the event that they move back into the property, or perhaps because the property has solar panels and they turn a profit, while others would probably rather have their tenants organise utilities. Some tenants may also appreciate having their energy bills taken care of, but if you’re the type of person who likes to shop around for the best deal on power, you will probably want to be able to switch. Are there specific energy plans for renters? No lock-in contract or exit fees, so you’re free to switch providers whenever you want, or whenever you move. No connection, disconnection or reconnection fees. These fees are common when customers move into or leave a property, so this is a usual bonus if you know you won’t be staying in the same place for very long. While these features may prove helpful, it’s important not to let them dictate your decision on which energy provider to go with. Make sure you find the cheapest deal by comparing usage and supply charges, as you very rarely get something for nothing when it comes to energy. The Movers plan from Lumo Energy is available in Victoria and South Australia. 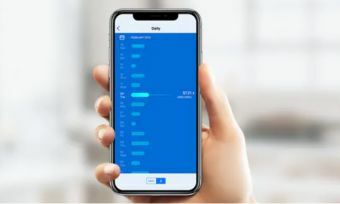 Its main feature is that it waives connection and disconnection fees, otherwise it’s fairly similar to other Lumo Energy products. In addition to the lack of moving fees, the Movers plan comes with a discount of 3% off electricity usage and supply charges for paying on time, plus an additional 2% (for a total of 5%) if you agree to direct debit payments. Lumo Movers also provides access to the Lumo Ameegs shopping program, which brings savings on days out and money off at selected stores etc. So, how much can you expect to pay with Lumo Movers? The following cost estimates are based on a three-person household at selected postcodes in each state. Use our comparison tool above for specific quotes in your area. Only available in Victoria, the Move Mate plan from Momentum Energy is much like the retailer’s other plans in that it does not include any conditional discounts, but promises competitive rates without the confusion instead. It also waives some moving house-related fees, such as connection fees and the cost of a special meter reading. So, how much can you expect to pay with the Move Mate plan? The following cost estimates are based on a three-person household in central Melbourne. Use our comparison tool above for specific quotes in your area. Do I need to tell my landlord if I switch energy providers? Unless your tenancy agreement states otherwise, there will be no need to tell your landlord or letting agent when you switch energy providers. You may decide to do so just out of courtesy, but there will likely be no obligation. Your energy contract(s) will be between you and the retailer you have chosen, and only you will be liable for payment. What if my energy bills are covered by the landlord? If your energy bills are included in your normal rent, then you should make no attempt to switch providers. The contract(s) will be between the landlord and the retailer. What if there is a smart meter installed at the property? If your rental home has a smart meter, you will be able to select from a growing number of energy plans which are tailored specifically to their use. However, if the property does not have a smart meter, you should make no attempt to change it or upgrade from a traditional meter. The type of meter at the address is determined by local authorities and the energy distributor in that area, and is a matter for the property owners. Tenants should never be liable for the costs associated with upgrading or changing meters. What if the property has solar panels? If your rental property has solar panels installed and you are taking responsibility for energy bills, you will likely be able to sign up to an electricity plan with a solar feed-in tariff and benefit from any savings. 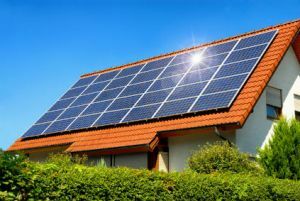 If the property receives a favourable feed-in tariff rate, the owner may wish to retain control, so be sure to clear this issue up before signing any agreement. If you’re moving into a home that has had its electricity or gas supply cut off, you should allow for five business days before these services are made available. Once you know where you are moving and what day you are moving in, it’s a good idea to contact your energy retailer as soon as possible and provide these details. What should I look for in an energy plan? 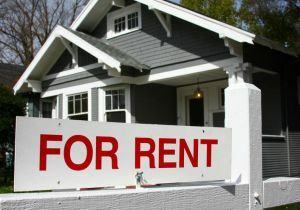 The cheapest rates: It doesn’t matter whether you’re renting a home, or own a property, no one wants to pay more for power than they absolutely need to. That’s why it’s crucial to check all usage and supply charges that you will need to pay, including any differences in peak and off-peak usage costs. These details can be found in the price factsheets of respective energy retailers. Sign-up incentives: It’s common that energy retailers will provide some kind of bonus sign up incentive to get you over the line as a new customer, including things like money off your first bill when you sign up online. While these promotions may be a good point of difference when comparing similar plans, it’s best you focus on the ongoing rates you’ll be paying and pick accordingly. Discounts: Big discounts have become the main marketing tool of the energy providers, with offers of up to 40% off usage charges common. While these discounts are not always as beneficial as they appear, it’s still a good idea to consider the plans with big discounts because they have the potential to help you cut your overall costs dramatically, provided you stick to the conditions. Discounts are usually available for paying on time, or paying by direct debit. Convenient payment options: Some energy providers give customers the choice of paying monthly or quarterly, while others only allow quarterly payments. If you have a preference or have another specific payment plan request, make sure you ask before agreeing to a contract. You may also prefer not to receive estimated bills, which are common, or would like to consider bill smoothing or fixed cost payments. Another thing to consider is whether you want to receive your bills via email or post – some providers will charge extra if they have to send out paper bills. No exit fees: Many energy providers have plans with open contracts, meaning you’re free to quit and switch to another retailer whenever you want, without having to pay an exit fee. While fixed term contracts may offer better long-term value for customers, these are probably not suitable for renters if they are likely to move home every 6 or 12 months. Fixed term or fixed rate energy plans usually come on 24 month contracts. No connection or reconnection fees: These are common charges usually imposed by the distributors for the hassle of connecting or reconnecting a home to the energy grid, although some retailers will absorb these costs for customers. Before signing any energy contract, be sure to check what you will be charged for moving in and moving out because these fees can quickly add up for renters. Another thing for all consumers to consider is the customer service they will receive from their prospective retailer. While everyone should look for the cheapest energy rates possible, it’s also important to have a retailer that picks up the phone when you call, is able to answer your questions, and generally makes life as easy as possible. Of course, you can only really judge an energy provider on its customer service after you have signed up and become a paying customer, which is why it’s a good idea to consult our customer reviews for energy providers to see how existing customers currently rate their providers. Is it easy to switch energy providers? No matter if you’re a renter or homeowner, switching energy providers is very easy. Once you have agreed terms with your new provider, they will take care of everything for you – contacting your old provider and informing them of the change, and organising for the distributor to visit your property to take a final meter reading. Once you have a received a final bill from your old provider, you will start being billed by your new one. Remember that, after you agree terms with your new provider, you will have a cooling off period (usually 10 days) to change your mind.